To become leaders in providing access to justice and professional legal services to the community of Limpopo and the rest of South Africa. To provide the best quality legal advisory services and advocacy skills to the entire population of the province of Limpopo and the rest of the people of the Republic of South Africa at affordable and competitive rates. To provide pro bono services in deserving cases. To provide legal training through pupilage programs to those who aspire to become practicing advocates and members of the Bar Association. To form partnerships with law schools at Universities situated within the province of Limpopo by training the final year law students and lecturers on the art of advocacy. To provide free legal training to the legal advisors in all departments within the provincial government. 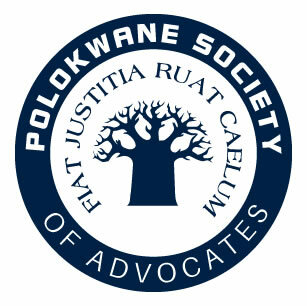 © Polokwane Society of Advocates | All Rights Reserved.